TimeSpanTreasures doesn't have any items in their booth! A great friend with a great sense of humor! Very helpful person. Does a super job co-hosting Scavenger Hunt game! An honest, down to earth person! Buy with ease! A genuine true friend to so many. Always willing to help when someone is in need. Wonderful seller who packages to perfection and has SO many lovely items! Is she someone to whom I would lend money? You BETCHA…she is honest as she is friendly and conscientious. I’m so glad I have “met” her and you will be too! Time Span Treasures Is a treasure of a seller. She researches her items carefully and gives honest information. Caring and trusted Seller with great items at very good prices. You can shop from this seller with confidence. She went out of her way to help me w/ research on a collectible that I’ve been trying to get more info on for over a year. A big THANK YOU! for your assistance! I have know Karin for about 3 months – She is always very Helpful and Supportive. Her Booth carries some Wonderful Vintage Items. A Great Person and an asset to the Bonanza community . You can bet you will get a Great Deal and Excellent Service . TimeSpanTreasures is a terrific customer. Prompt payer. Lovely communicater. Just ideal to work with. I am so pleased our paths have crossed. I welcome her back anytime and look forward to shopping with her. She is a real gem! Karin is fantastic to do business with. She is a genuinely honest and kind person, has an excellent Booth, a variety of great items; a total joy! She is another of the many talented HPL Makers (don’t know how they DO it, for the life of me)! Karin…I’m honored and humbled, by the fact you purchased from me. You cannot go wrong doing business with this gal! I wanted to thank you for including one of my items on your hand picked list. You helped me sell it I’m sure. New to Bonanzle and wish you luck too! I have made lots of purchases from other web sites, but “TimeSpanTreasures” provided the best and friendliest customer service of anywhere I’ve been. She was obviously eager to please and had very reasonalbe prices. You definitely want to check out this booth!! It has been a pleasure to deal with TimeSpanTreasures here and on another site. She has an eclectic collection of fascinating items in her booth, and is an extremely helpful advisor to people just starting out on Bonanzle. A super nice person! Thank you for your purchase and all of the reminiscing. Best Wishes for you here at Bonanzle. Always a pleasant transaction with TimeSpanTreasures! Pleasant, cheerful person. Highly recommended as both seller and buyer! TimeSpanTreasures is one of the best..if not THE best seller I have ever dealt with! Her items are amazing, her customer service is top notch and she is a very caring and professional seller! 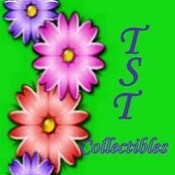 If you are looking for a great store to just loose yourself in, come to TimeSpanTreasures! You will never go wrong with this honest, professional and caring seller! You can ALWAYS rely on TimeSpanTreasures! Have purchased from her many, many times with never a disappointment! Always professional, great customer service and provides rapid and perfectly packed shipments. You’ll never go wrong here! Time Span Treasures is an honest & very reliable person. I have bought from her many times on another site. You can’t go wrong when buying from this seller.